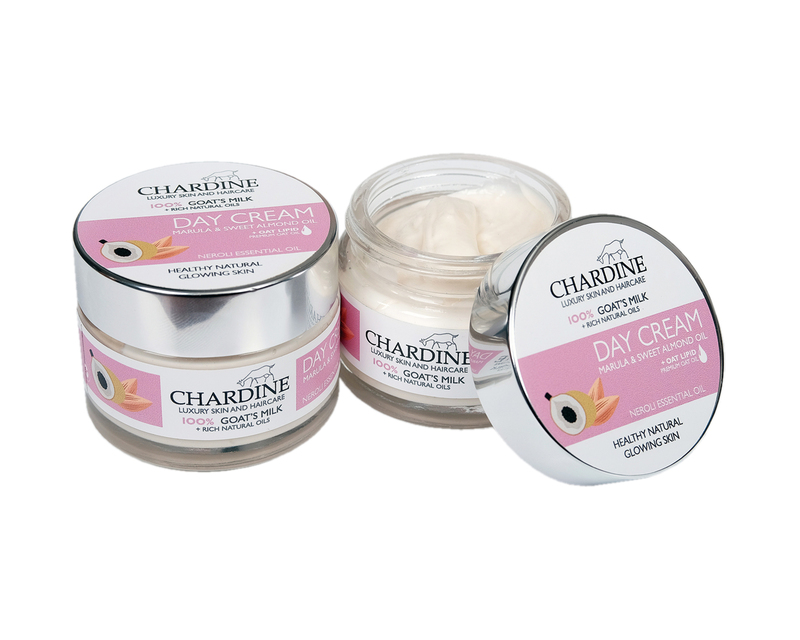 Chardine’s day cream is made with 17 naturally derived, raw materials. The day cream is formulated for women with sensitive skin. The face cream is formulated with five oils (oats, wheat germ, marula, cocoa butter, mct oil, sweet almond). Colloidal oatmeal, aloe vera gel & goats milk is added to sooth sensitive skin and Neroli essential oil is added for a lovely uplifting smell. Apply after toner in the morning and evening.